The Chinese health ministry says it is investigating at least four new suspected cases of the potentially deadly Sars virus. Officials say all the new cases are connected to a confirmed patient who worked at a Sars research lab. 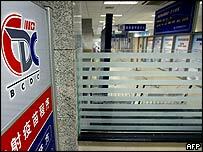 The laboratory in Beijing has been sealed off and workers there have reportedly been quarantined. China, which is gearing up for a national holiday, is screening thousands of rail and air passengers. So far two people are definitely known to have contracted Severe Acute Respiratory Syndrome in the latest outbreak. One, a 26-year-old student, worked at China's Center for Disease Control in Beijing. Her mother died last week, and tests are being carried out to see if she had the virus. The other confirmed case is a nurse who treated the young woman. The World Health Organization says China has requested help to track down the exact cause of the latest outbreak. "A team of two or three experts will be in Beijing to help China get to the bottom of whether or not this lab was responsible for the spread of Sars in China," said the WHO's spokesman in Beijing, Bob Dietz. A BBC correspondent in Beijing says one cause for concern is that, after contracting the virus, the student is thought to travelled by train to her home in central China. She may have passed the virus to dozens of other passengers who will now be virtually impossible to trace. China's railway stations and airports have been ordered to take the temperatures of passengers in a bid to stop the possible transmission of the disease. Fever is a key symptom of the illness. The outbreak in China comes ahead of a week-long national holiday, Golden Week, which begins on 1 May. 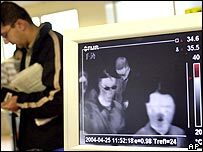 Sars first emerged in China in November 2002, and the Chinese government was later criticised for being too slow in publicly confronting its spread. It has vowed to be more open. Some governments in Asia - the region hardest hit by last year's outbreak of the respiratory virus, which killed about 800 people worldwide - are also taking steps to check for possible new cases. "The fear is that the latest Sars outbreak could turn into another epidemic"